In 2010, the Town of Jackson awarded a team led by Jorgensen Associates to design, permit, and manage the construction of the replacement of two Town of Jackson water tanks. 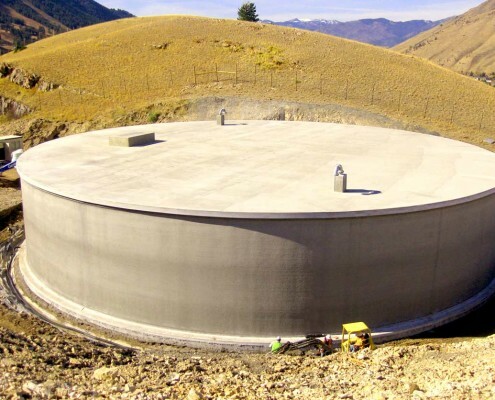 The first tank required the replacement of an 800,000 gallon buried concrete tank located on the National Elk Refuge with a 1.3 million gallon tank. The second tank involved the replacement of an 80,000 gallon above ground steel tank with a 130,000 gallon buried concrete tank located on Snow King Mountain.